The Role of Intent in Critique | Discussing Design - Paying attention to the details of design critique. If you have participated in a design critique (whether large or small) you understand that at a high level there are two facets to critique: giving and receiving. At the root of these is intent. Intent is the initiator of critique; it is the “why”… Why am I asking for critique of my work? Why am I offering critique on someone else’s work? What is it that I am expecting to get from the process? Intent is the purpose in the critique process as we set out to evaluate and refine product designs. For critique to be successful intent has to be right on both the giving and receiving side. The success of critique hinges on intent. Critique only works when the intent is right on both sides. ** I will say that you may be able to get some good insights even if the intent is wrong, but overall the critique will not be nearly as successful as it could be. ~ 140 characters of one sided, open-ended critique every time an app/site is launched or updated. How many times have we seen this on Twitter? Someone launches a new or updated application and the experts come out, most of the time with zero context or information about what the designer or team was facing while designing the app. How is this helpful? When we do this (and I have been guilty of it) are we really trying to help someone improve the app? Or are we more interested in showing others in our community how smart we are on a certain topic? When personal validation from your peers is the basis of your intent for giving critique you are starting off on the wrong foot. (in a team environment or otherwise). Shocking as it may seem, people may not always want us to offer critique on what they are sharing or working on. People may be sharing to get the word out, or simply because they are excited about what they have been working on. Whether at a team member’s desk, in a meeting, or on social channels, when critique is uninvited it can lead to defensiveness, communication breakdowns, and often paints the person giving it as a “know it all”. Critique with the wrong intent is selfish; it damages teams, processes, and most importantly the product. If giving critique with the wrong intent is selfish, then giving critique with the right intent is selfless. ~ Critique with the right intent is geared towards improving the product. When we are giving critique with the right intent we are not focusing on validating ourselves or proving that we are right, but instead we are focusing on improving the product. When the product meets it’s goals an is successful everyone is successful. ~ It is focused on helping facilitate conversation and critical thinking that leads to improvement. When you are focused on the product, and not personal validation or other personal motivations, you are able to help facilitate discussion surrounding a design that helps everyone involved effective analyze what is being designed. ~ The best critiques are a discussion. One sided discussions are boring and ineffective. Good critique is a discussion and ongoing dialog about how a design is or isn’t meeting its goals. We should approach every critique with the intent to facilitate and build the best conversation around the design possible. Use a filter. Gather initial thoughts and reactions. Revisit them in the right context. Don’t assume. Find out the reason behind thinking, constraints or other variables. Don’t invite yourself. Get in touch and ask to chat about the design. Lead with questions. Show an interest in their process. Talk about strengths. Critique isn’t just about the things that aren’t working. ~ Requesting feedback for personal validation. If you need a hug just ask. This is very similar to sharing feedback or offering critique simply so other can see how smart you are. Personal validation can destroy critique. You should ask for critique if you are looking for insights and help improving a design/product. ~ Asking for feedback with no intent of listening. If you are asking for feedback, but have no real intention of listening to anything the individual is sharing with you, you are wasting both your time and theirs. If you are in a situation where it is mandatory but often seems unproductive ask to change the process, or just go in trying to get any useful info you can out of the situation. ~ Don’t just hear… Listen. Listen actively; ask questions to make sure you clearly understand the feedback being provided. Give those in the critique your full attention. ~ Don’t take it personal… even if someone else seems to be going there. Even if you know that someone else is wrong, or in the wrong, take their insights into consideration. You can’t always avoid difficult people or situations. So make the best of it. Make sure to record their insights (ignore the personal shots/digs) and revisit the information later. Even though they are being difficult there may be times where their insights are helpful. Receiving critique is not easy; putting out something that you have poured yourself into for others to analyze can be very intimidating. It takes a fair amount of humility and restraint. The right intent when asking for critique is for you to better understand the impact of the design decisions made so far. By engaging others to help you take a step back and comparing your design to the goals you’re working to achieve and principles you’re trying to adhere to, you can better determine where you should focus in your next design iteration. As a secondary benefit, by including stakeholders and other members of your cross-functional team in these sessions you give them the opportunity to better understand the progress and rationale behind the direction of the design. Recognize that there is no such thing as a perfect solution; there is always room for improvement. Remember the purpose, critique is about understanding and improvement, not judgment. Listen and think before you talk back. Do you understand what the critics are saying? Are you being defensive? Protective? Refer to the goals; is what you’re hearing pertinent to the goals you’re trying to achieve? Participate; analyze your proposed solution with everyone else. Critique is about the product, not the product designer. The sooner we remove ourselves from the equation the sooner we will start to see improvements in the ways we give and receive critique as well as improvements in the overall critique process. Improving the critique process takes practice, especially in the area of intent. The content shared was not meant in any way to be condescending, but to be used as a guide and reminder when starting the critique process. Do you have a technique that has worked for you? We would love to hear your story good or bad. Aaron is a Product Designer for Nasdaq OMX. Aaron combines a background in visual design with a passion and deep understanding of experience design to create well rounded product experiences. He is also a lover of heavy metal, a foodie, and a master of BBQ arts. A very nice read. 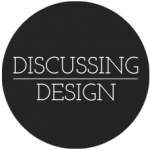 As a student in a design program, we are encouraged to receive as well as give design critiques. Through this article I realized that intent is really important in the critiquing process. Apart from the points listed above, our professors also encourage us to start a critique by saying something positive about the design. This helps us to gain the confidence of the presenter and builds the right ‘intent’ on both sides. Sometimes, even critiquing with the right intent might be interpreted as negative. I would say there is a very fine line between a critique being really helpful or disparaging! I agree it can be a very thin line and I have found myself on both ends of it. I like the approach of starting positive, often times people think that the critique process is always about pointing out whats wrong with a design. Since critique is a form of analysis it is important to see both what is working and what isn’t working. Thanks again for commenting best of luck in your studies! Agreed guys. Critique has to be both about strengths and areas for improvement. Citing positives does help with defensiveness. But also, identifying strengths or areas where goals and principles are being met helps the designer understand what aspects they may not want to change or even potentially carry and borrow from to improve other aspects of the design. Leave a Reply to Aaron Irizarry Click here to cancel reply.